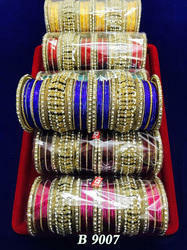 We are the manufacturer & wholesaler of CNC Bangles. We are only interested to export our premium chuda to our esteemed client. Clients of overseas can deal in bulk orders. These chudas are very unique and attractive for all women. 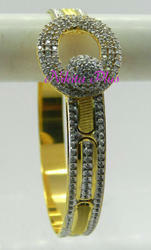 This Antique Bridal Jewellery is checked for quality under various set standards. Our bridal jewellery sets are newest collections for Indian bridal jewellery specially carved for beautifying you on special occasions like marriages. Owing to our enriched industrial experiences, we are committed towards providing a wide variety of excellent quality Chuda Bangle.